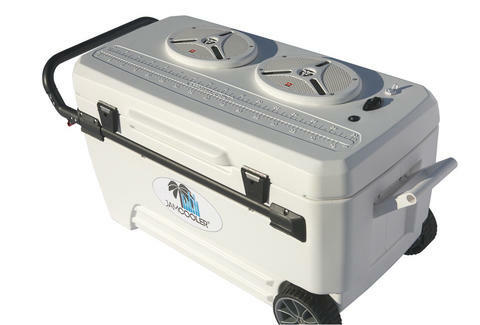 It's not hard to agree with its makers' contention that the JamCooler is the "ultimate party cooler", considering this rolling, marine-grade leviathan not only boasts enough space to keep 100+ frosty bevs on ice, but also sports two 600W JBL speakers. Simply wirelessly connect your smartphone, and you can unleash "thumping jams" for up to 10 hours, giving you numerous ways to "feed the party". Rawr!